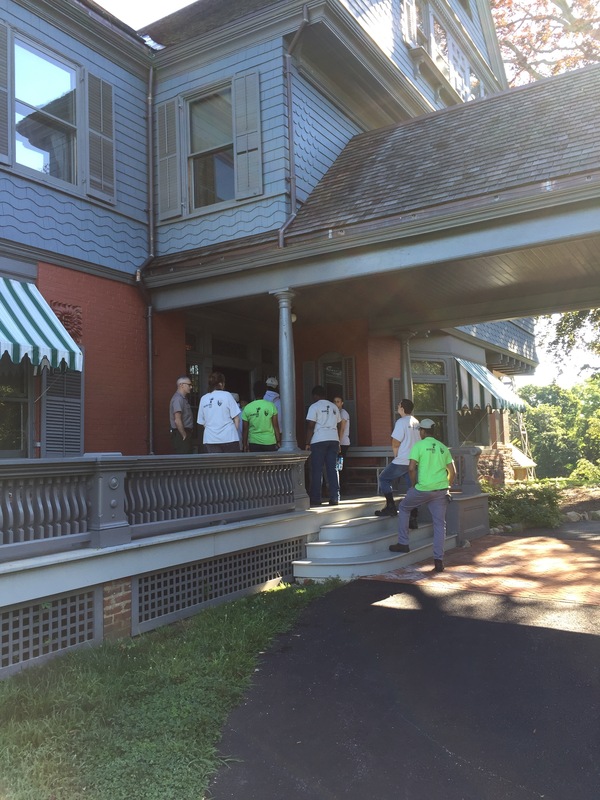 Branching Out Boston and New York City Field Teams, Interns, and Staff at Sagamore Hill! 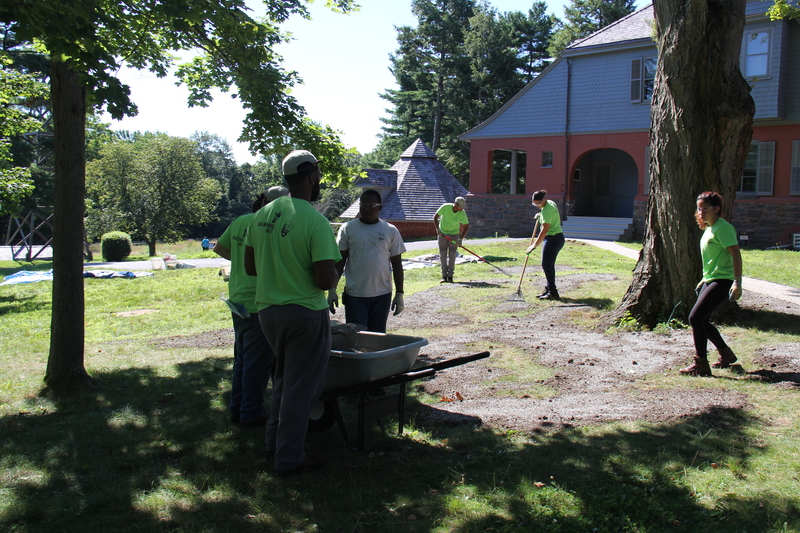 During the week of July 24-28 the Branching Out field teams from Boston and New York City and program interns met at Sagamore Hill National Historic Site for a four-day long gathering to learn about landscape management and work on various projects with park staff. 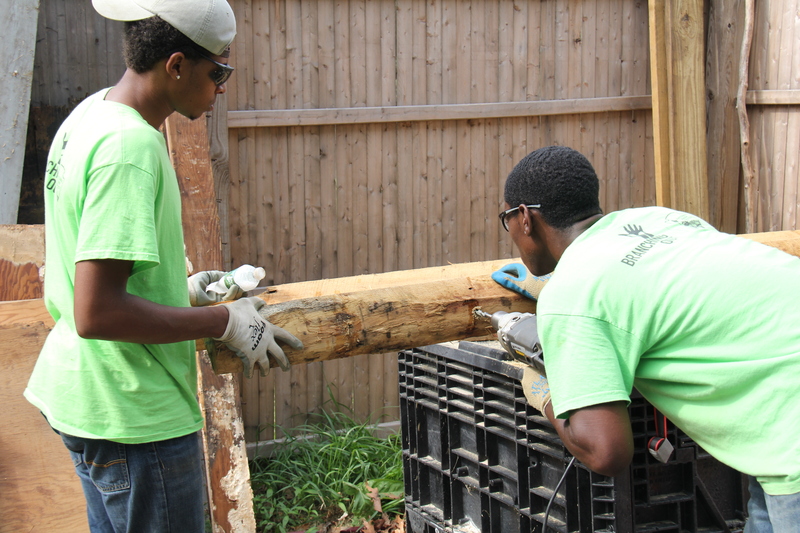 Branching Out is a project of the Olmsted Center for Landscape Preservation that provides youth with an overview of landscape management practices through educational workshops and hands-on field experiences. 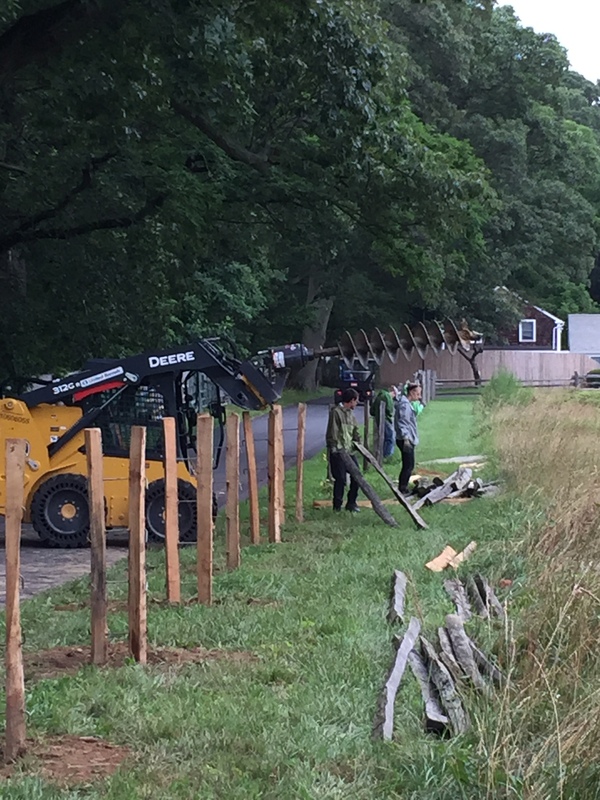 For the students and interns with Branching Out, working on historic landscape projects is a rewarding opportunity for young people to travel, meet others, study a fascinating field of work, and learn about the importance of park stewardship. 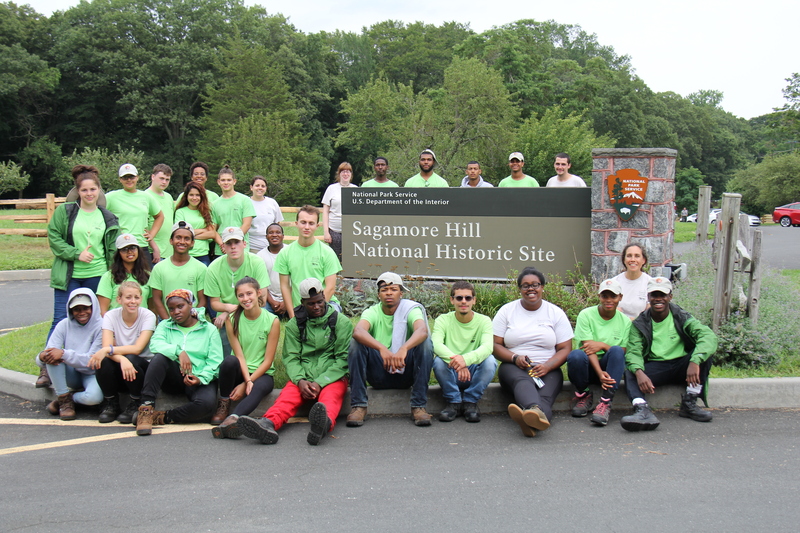 While at Sagamore Hill, field teams and interns with members ranging in age from high school to college age engaged in a number of landscaping tasks alongside experienced staff including turf rejuvenation near the Roosevelt home, repair of fencing around the fields, pruning of historic apple trees, and maintenance on the nature trail. 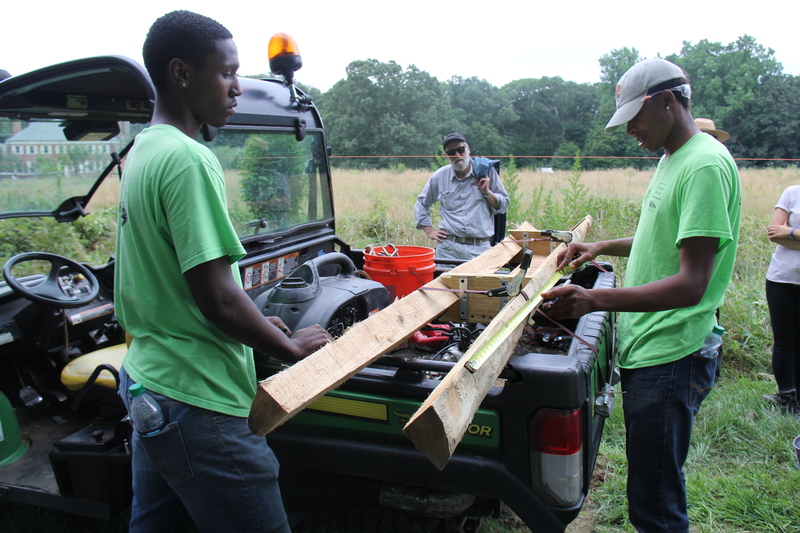 Students got hands-on experience using power tools, constructing fence posts, placing water bars on trails, and learning basic arborist skills. The gathering culminated with a teach-back session in which the four groups gave in-depth tutorials on how to complete their particular task, each speaking on the project’s highlights and how they dealt with challenges. During the teach-back exercise, many participants expressed a desire to pursue careers working in national parks and on public lands. Field Team members along with Field Team Leader, Innocent Wozufia, working on the turf just outside the main house. Trail management group repairing exposed water bars and erosion. Drilling holes in the fence posts for where the rods will go. 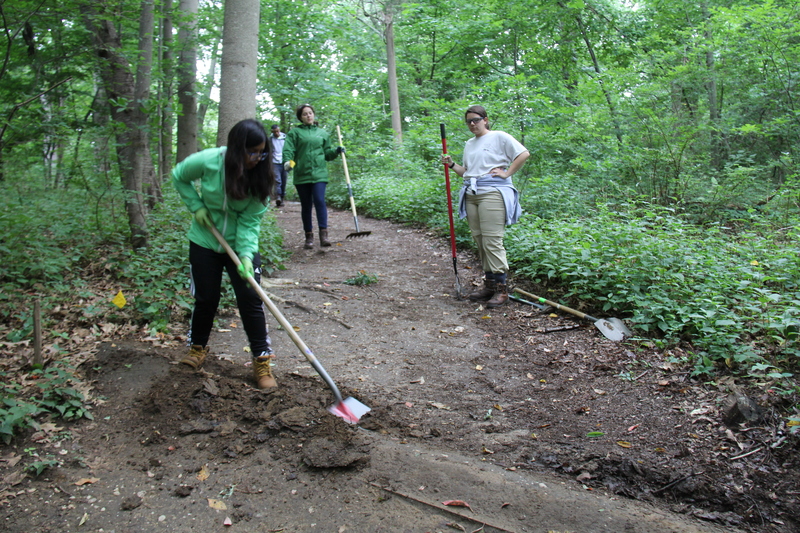 Sage Vargas, NYC Field Team Member, Intern at BOHA, Shreena Pyakurel and Internship Coordinator Michelle Pizzillo repairing water bars along the trail that the Roosevelt’s used to walk to Cold Spring Harbor. Intern with HACE/MIMA Diego Rojas measuring where to drill along the fence posts. 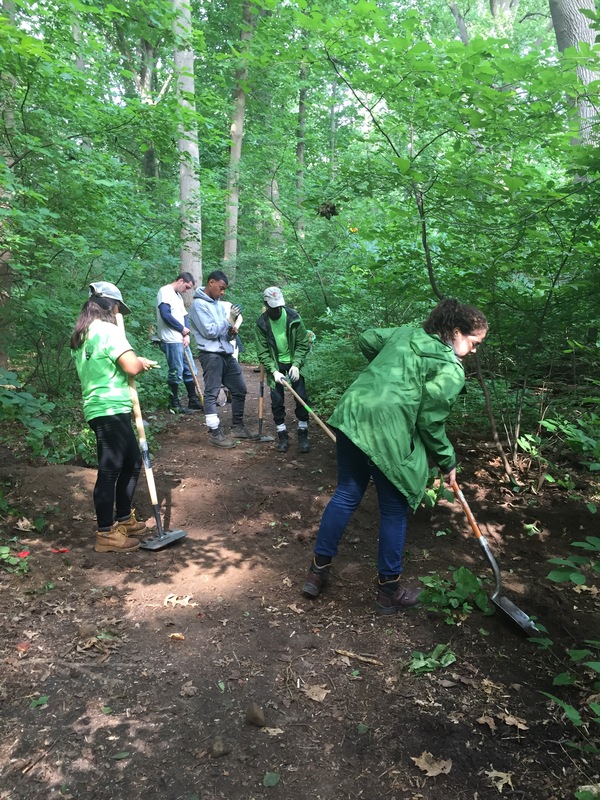 Learn more details about each of the field projects stations by reading the Branching Out intern’s Diego, Shreena, and Lorre’s blog posts! Also had the opportunity to tour inside the house!